Source: New Era 26 July 1842: . 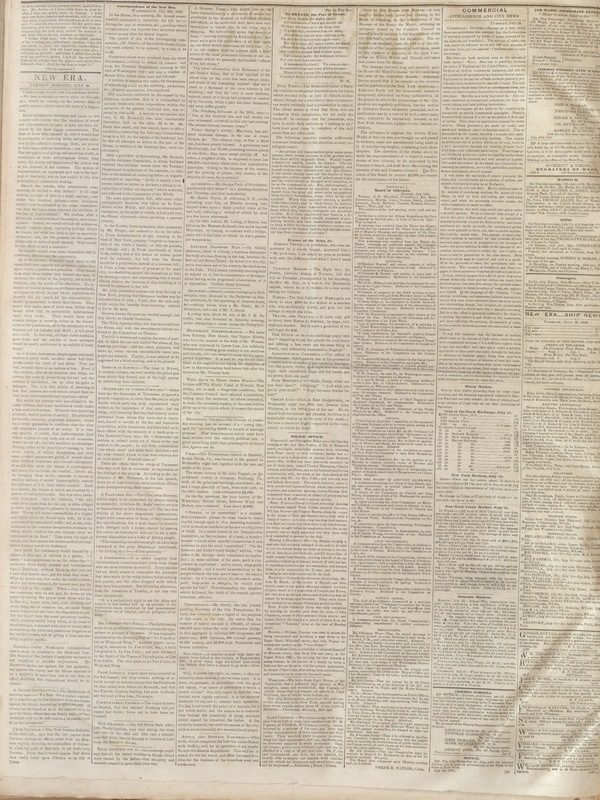 Our transcription is based on a digital image of an original issue. For a description of the editorial rationale behind our treatment of the periodical poems, see our statement of editorial policy. Cite this page: Whitman, Walt. 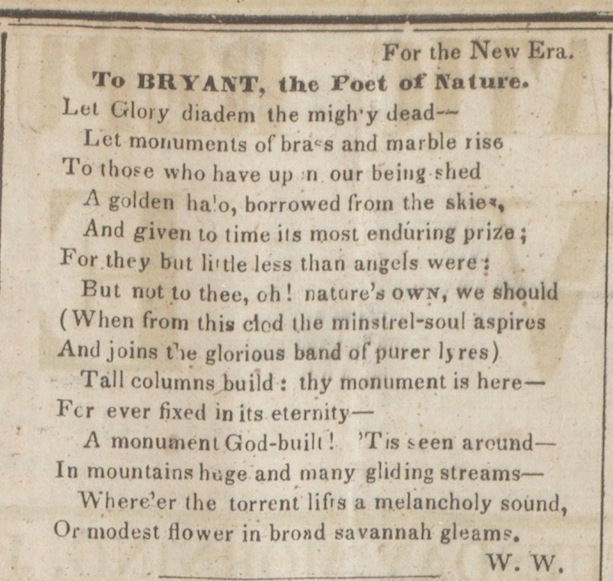 "To Bryant, the Poet of Nature." 26 July 1842. Ed. Susan Belasco, assisted by Elizabeth Lorang. The Walt Whitman Archive. Gen. ed. Ed Folsom and Kenneth M. Price. Accessed 18 April 2019. <http://www.whitmanarchive.org>. Or modest flower in broad savannah gleams.